Every month there are holidays just waiting for the perfect dog costumes. Are flea collars the best way to control your dog’s fleas? We look to see if flea collars are safe and effective. You don’t want your old dog to feel like chopped liver. Here’s how to introduce your new dog to your old dog — no tears, no fuss, and no biting. #HappyFriday from Cocoa! She is a #chihuahua mix that is between 4-6 years old and weighs 12 pounds. She’s a little chubby (don’t tell her I said that!) and looks like she may have had at least one litter of #puppies. She’s a total sweetheart who loves cuddling and lounging comfy chairs. Sadly, Cocoa was surrendered after her last owners were evicted from their home. But her owner said she gets along with everyone, both #cats and #dogs. Will you #adopt this pretty girl? If you are interested in adopting her, get at me, dawg! Comment or DM me here or tweet my Mama @kelsey_cruz. She is a @phillypaws gal in need of a wonderful #home so you can always email them directly at dogs@phillypaws.org to learn more about #Cocoa and how you can #adoptnotshop her. And remember, #KING is #wheredogsrule. Meet Pepper, a #beautiful #pitbull mix! Isn’t he super #adorable? He’s fun, #friendly, and playful – he’s one of my very best #friends! He has a big tongue and a big #heart, and I #love spending time with him. Pepper is QUITE the ladies’ man – they swoon over his freckles. He’s deaf, but that doesn’t stop him. He loves and wants to be loved. Will you #adopt him and give him the #furever #home he wants and deserves? Will you be the Salt to his Pepper? If you are interested in adopting him, get at me, dawg! Comment or DM me here or tweet my Mama @kelsey_cruz. He is from @morrisanimalrefuge and needs a wonderful #home so you can always email them directly from their web site morrisanimalrefuge.org to learn more about #Pepper and how you can #adoptnotshop him. And remember, #KING is #wheredogsrule. Say hello to Kirkland! He is a #terrier mix that is between 4-6 years old and weighs 39 pounds. Isn’t he super #handsome? He has a lovely temperament – he loves people and other #dogs and he is interested in EVERYTHING. Kirkland is equally active and cuddly – the complete package. Whoever adopts this boy will be very lucky to get him! Sadly, Kirkland was found as a stray. Will you #adopt this sweetheart? If you are interested in adopting him, get at me, dawg! Comment or DM me here or tweet my Mama @kelsey_cruz. 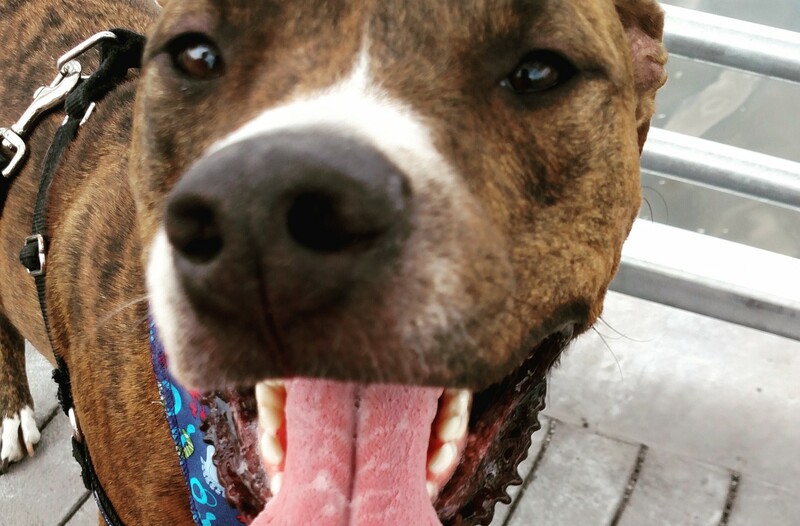 He is a @phillypaws boy in need of a wonderful #home so you can always email them directly at dogs@phillypaws.org to learn more about #Kirkland and how you can #adoptnotshop him. And remember, #KING is #wheredogsrule.